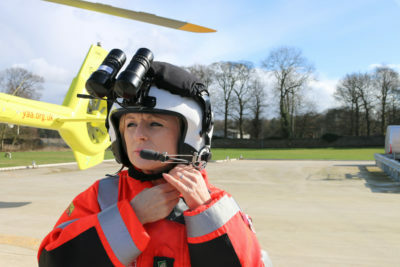 Our fundraising money has paid for three specialist night vision helmets for the Yorkshire Air Ambulance aircrew. Last year we raised £6,000 for the “angels in the sky” and the charity has used this money to buy a set of helmets, which are specially designed to fit their new night vision goggles. We donate £2 to Yorkshire Air Ambulance for every new Gadget and Leisure and Home Emergency policy we sell to our customers. A team of 10 staff also ran in the Leeds 10k last year to boost our fundraising even more. Caravan Guard Associate Director, Laura Wilby, said the staff were delighted to have funded the helmets to help the aircrew in their efforts to fly longer and become night-capable. 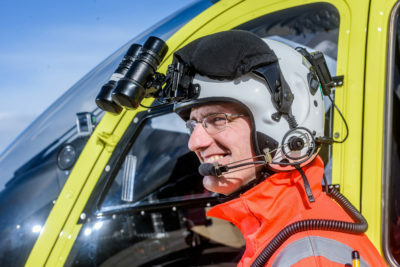 The charity recently bought two state-of-the-art night capable helicopters (Airbus H145’s) and has used sponsorship and donated monies to buy the night vision goggles they need, so they can save more lives by being able to fly in the skies for more hours. 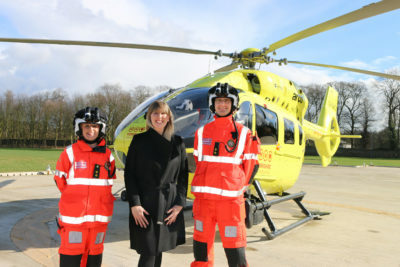 Yorkshire Air Ambulance needs to raise £12,000 every day to keep its helicopters flying. The charity serves 5 million people across Yorkshire, attending on average, more than 1,000 incidents a year. Caravan Guard has a strong commitment to supporting a number of chosen local and national charities. The company hopes to continue to encourage more of their caravan and motorhome customers to take out their Home Emergency and Gadget and Leisure policies so even more money can be raised for Yorkshire Air Ambulance by August.